N-Fab RKR Step Systems are made from 1.75" steel, and feature a one piece construction to ensure strength and longevity. These steps are perfect for on and off the road. Detachable steps provide a large stepping area when you need it, and by removing the steps, you get more clearance for any off-road adventure. These bars are sold as a pair, and have a bolt on design that is easy to install and won't flex. The standard finish is textured black, and they come with a limited lifetime warranty on craftsmanship, with a 5 year warranty on the finish. 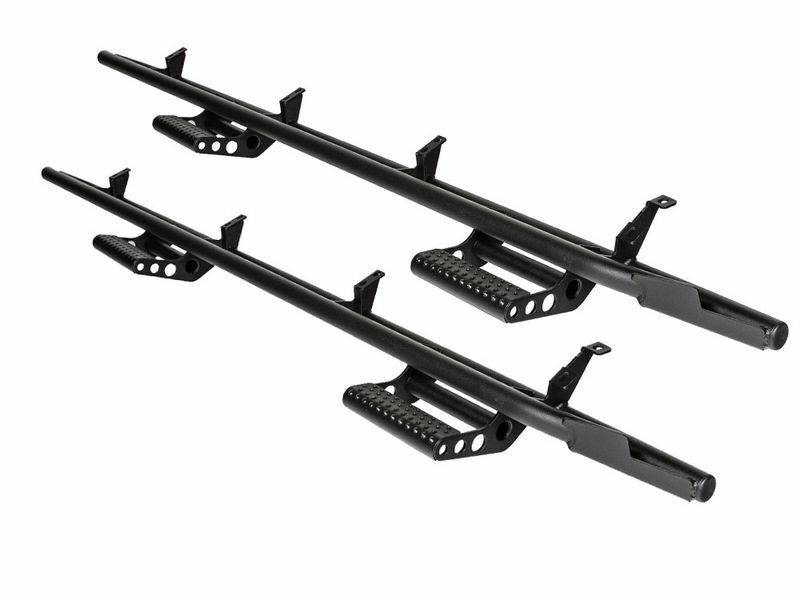 These bars are convenient when you need them, and slick and stealthy when you don't. Purchase an RKR Step System today and bring your truck to the next level.